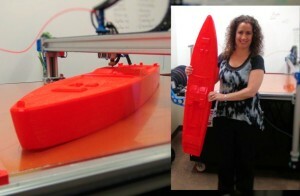 Last week, I went looking for the next “step up” in 3D printers. 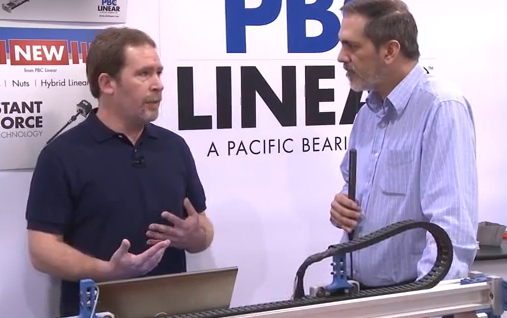 I found the new 3DP1000—from 3DP Unlimited (formed only in January of this year but with 2 years of R, D & D run-up under the wing of its parent company PBC Linear)—operating on a tradeshow floor in New York City. Here was a large-format printer with a hyper-capacious build-volume AND precision output—for a cost-effective price. The 3DP1000 is a recently released, industrial-grade, marketplace-entry 3D printer designed to leapfrog what—until now—has been prosumer-style, desktop 3DPs writ large. Germane to these comments and the breakneck evolution of 3DP products, ponder this. Have you ever wondered why—or, for skeptics, if!—the United States is still the premier industrial power in the world? I invite you walk the crowded aisles of an American, all-in-one, multi-sector, manufacturing-focused trade event—like the one running last week at the Javits Convention Center here in New York City. This “multi-show”—taking up almost all of the Javits—doesn’t have a single title. (I’d call that a failure of branding by the producer/managers, UBM Canon Events…) It’s nonetheless touted as “The East Coast’s Most Comprehensive Event for Design, Manufacturing, Automation and Packaging.” (Doesn’t exactly trip off the tongue…) Here are the names of the six shows that are sub-components of this umbrella event: MedTechWorld/MD&D; Pack East; Atlantic Design & Manufacturing; Automation Technology Expo (ATX) East; PlasTec East and Pharmapack North America. Of the upwards of 1,100 exhibitors, fewer than 10 were directly 3DP-related. Joe Binka, Development Engineer (left) & Mark Huebner, Market Development Manager, of 3DP Unlimited of Rockford, IL, exchange on their company’s new large-format 3D printer, the 3DP1000. According to Mark Huebner, Market Development Manager of PBC Linear (the parent of 3DP Unlimited), we are “one of the newer companies in the space…and, yes, it’s the Wild West out there [in the 3D printing marketplace]. What sets it [the 3DP1000] apart is the build area. We’ve a meter by meter by ½ meter high usable print area.” The product’s model name—3DP1000—refers to the “1000 millimeter” X- and Y-axes. Industrial-quality components and actuators—like all lead-screw drivers and integrated stepper motor/amplifiers—deliver higher precision and repeatability. This opens up new capabilities and functionalities that more than pay back the higher cost of this large-format 3D printer. With a large build-plate AND precision, 3DP1000 users can take advantage of the flexibility presented by the meter-square—yet precise—build capability. Not just to create very large objects, but to pump-out multiple objects in one printing session. So, what are some of the downsides? The basic printer is 300 pounds, the size is significantly larger than its meter-square build area and the print times for large objects can be in the tens of hours. Joe Binka (far right), Development Engineer of 3DP Unlimited, expounds on his company’s new large-format 3D printer, the 3DP1000, for booth guests at Automation Technology Expo (ATX) East, Javits Convention Center, 10 June 2014. 3DP Unlimited also tries to maintain affordable flexibility of the 3DP1000 printer by integrating open-source solutions with software and control platforms. According to Binka and Huebner—card-carrying members of the Maker Movement—open-source control solutions offer the customer more flexibility. And, will continue to be an integral part of the strategic positioning of the company going forward.